Available as paperback or Kindle. Small groups transform churches—and lives. 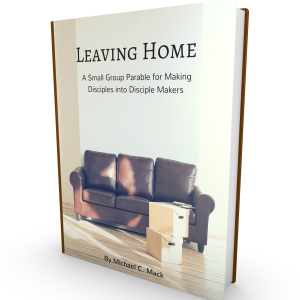 Small group leaders often feel the weight of shepherding their small group members. But who shepherds the shepherd? Small group coaches fill a unique role by providing support and guidance for group leaders. When you’re called to coach a small group leader in your church, your mind may be filled with questions: Am I godly enough? What do I have to offer? How do I begin? Although the challenge seems immense, Bill Donahue and Greg Bowman break down the work of coaching small group leaders into achievable steps. This expanded and updated edition offers field-tested and biblically supported advice on such topics as modeling a surrendered life to those you coach, gaining the tools and wisdom you need for coaching, and helping leaders grow spiritually. For those who want to coach with excellence and truly help small group leaders thrive, this go-to guide offers practical answers and inspiring examples. You’ll find both challenge and promise in these pages as you learn to carry forth your God-given calling with confidence. The description for this book uses the word “comprehensive,” whereas the book itself uses the word “practical.” I’m not complaining; both are correct. I used this book as a resource for training the coaches under my care and I also gave it to directors who also oversaw coaches. But the book I gave to the coaches themselves was A Pocket Guide to Coaching Small Groups by Randall Neighbour. Why? Because, quite simply, it’s concise, an easy read, simple to implement, and Christ-centered. If I were a small group ministry leader, I’d use both in my ministry.